Having grasped an understanding of the geostrategic imperatives motivating the four main state actors most directly involved in and affected by the Kurdish insurgency, it’s now time to put everything together in forecasting a few of the most likely scenarios that this explosive mix can result in. Basically, the scenario progression works as such – the first one describes the opening stage of the conflict and should be closely investigated and immediately monitored in order to see which direction it’s headed in. Depending on the eventual geopolitical affiliation of the Kurds, the situation will start developing in accordance with the precepts of either the second or third scenarios. At last, the fourth scenario is more like the final step that the US will take in guiding events towards its most advantageous benefit, and it can thus be seen as the last possible strategic scenario capable of being predicted within somewhat of an accurate degree of knowledge at this given moment. It may sound shocking, but as was argued in Part I, Iran and Israel have overlapping energy-related interests in maintaining friendly and moderately supportive relations with Turkey’s Kurds. To recap, Israel is interested in securing the BTC pipeline from which it receives 40% of its oil needs, while Iran wants a stable regional environment to safeguard any prospective pipelines from it and/or Turkmenistan to the EU. The situation of shared strategic interests between Iran and Israel in Turkish Kurdistan is very much like that between Iran and the US in Iraqi Kurdistan. Both sides support the Kurds in their fight against ISIL, even though they do so for different reasons and neither of them coordinates its activities with the other. Any ‘strategic honeymoon’ between Iran and Israel in Turkish Kurdistan isn’t expected to be permanent, however, since their drastically divergent end goals will lead to a destined falling out, as Israel tries to push the Kurds towards creating a pro-Western state while Iran tries to restrain them into accepting broad autonomy (whether it’s offered at the time or if a possibly mediating Tehran suggests such an idea itself) in the interests of overall stability and regional order. Of course, the rapidity at which Iran and Israel go from being surprising and unspoken ‘partners’ to reverting back to their roles as regional competitors will depend on both the success of the Kurdish insurgents and their governing body’s commitment to either a Western- or Resistance-oriented geopolitical disposition. Looking at one of the two most likely scenarios that can branch out from that point, if the Kurds throw their lot behind Israel and the US (and the latter agrees to assist it at that time), then the creation of their hoped-for state would become a geopolitical oasis of unipolar influence in the heart of the Mideast. As was described in the first section when discussing this possibility, the US could use Kurdistan as a base for launching destabilizing operations further afield along the newly christened ‘country’s’ periphery, allowing it to simultaneously exert influence in Turkey, Iran, Iraq, and Syria. Furthermore, the battle-hardened Kurdish militants that ‘earned’ their entity’s ‘independence’ would then take on the role of ‘New Israelis’, in that their history of violence against all sides becomes the basis for a paranoid siege mentality that sees them begging for an external patron (US and Israel) to can ‘guarantee’ their artificial entity’s security from ‘external threats’. This is the exact same template that happened with Israel, which itself is an artificial entity that fought against its neighbors to secure its ‘independence’ and then sided with a stronger external patron (the US) to maintain its regionally hegemonic edge, so it’s for these reasons and the per the resultant similar strategic benefits that the West would receive that a pro-Western independent Kurdistan is referred to as a ‘geopolitical Israel’ and is such a major threat to the multipolar world. As disturbing as the previous scenario may be, it’s not preordained that things will go that way, and actually, there’s an equally possible chance that the geopolitical pendulum could swing in the polar opposite direction. 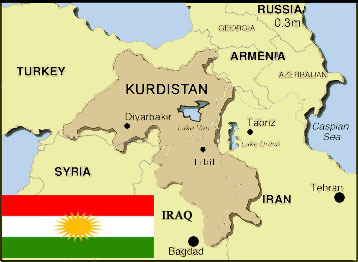 If the Turkish Kurds end up on the winning side of the insurgency and identify more closely with Iran and the multipolar Global Resistance than the US/Israel and the unipolar world, then the partial or whole fulfillment of their demands (autonomy or independence) could create a solid bridge between Iran and Syria via Turkish/Iraqi Kurdistan. This is the reverse of the ‘geopolitical Israel’ scenario because it would empower Iran as the external patron that could then project its own proxy influence through Kurdistan (whether it’s autonomous or independent) to Turkey and Iraq. For obvious reasons, the US and Israel are completely opposed to this scenario and would frantically do whatever they could to stop it, but it’s of course questionable to what extent they might be able to alter the course of events given how chaotic the situation is that they may have created by that time. Even if it was their intent to corral the chaos in the direction of their strategic interests, it’s still chaos after all, and can accordingly turn against its creators’ designs and work out to their ultimate geopolitical disadvantage. The most important, and as of now, uncertain variable affecting the course of the Kurdish insurgency is the US’ position in the conflict. It’s not yet clear what the US will ultimately do, but the ball is most certainly in its court. It can of course continue to support Turkey against the PKK while playing a double game through its assistance to the PYG and the Kurdish Regional Government, or it could ‘abruptly’ turn against Turkey and pivot back to Kurdistan if Ankara begins to lose and/or is too deeply mired in Syria to be of any worthwhile geopolitical utility to it continuing as a unified entity. More than likely, the US will indefinitely continue with its policy of strategic ambiguity by exercising a restrained combination of each proposed measure in order to hedge its geopolitical bets, thus keeping both sides guessing and thereby motivating them to fight their respective campaigns to the fullest in order to secure what they hope to be the US’ favor in supporting their existential struggles. Once it does decide to decisively intervene, the US can either amplify the differences between the Turkish, Iraqi, and Syrian Kurdish communities as a response to the Resistance Bridge scenario, or it can try to unify each of these units in order to fulfill the ‘geopolitical Israel’ forecast. It’s too early to tell which side the US is leaning towards at the moment, but once it chooses to act as the kingmaker, these are the probable actions that it’ll take in attempting to affect events towards its desired geopolitical ends. Destabilization in Turkish Kurdistan adversely affects the BTC pipeline and any prospective plans for an Iran-EU and/or Turkmenistan-EU pipeline project, thus impelling both Iran and Israel to surprisingly offer at least implicit support to the same proxy actor in order to guarantee secure transit for each of their respective energy interests. Iran and Israel’s differing end-game visions for Kurdistan (autonomy vs. independence) mean that the two sides will ineluctably break free of their ‘honeymoon’ phase sooner than later and bring their regional rivalry into Turkey’s simmering domestic conflict. Turkish Kurdistan can choose to align itself with either the unipolar or multipolar worlds, and accordingly, this will be one of the most crucial factors in determining its future trajectory and the type of response that the US takes to the conflict. 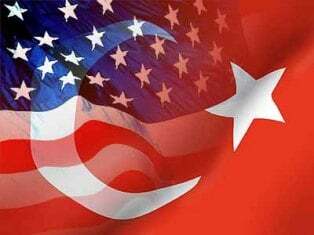 American committed (covert) involvement on one side or the other is the single-most important variable deciding the direction of the conflict and what Turkish Kurdistan’s geopolitical orientation will ultimately be. Turkey opened up a can of worms by reigniting its War on the Kurds, and it’s foreseeable that the current insurgency heralds much more than a short-term regional crisis. It’s very likely that the Kurds will continue their insurgency with the same passion and intensity that the Turks will embody in continuing their military operations, as both sides realize the existential interests that they have at stake in this conflict (for Erdogan, electioneering ends and territorial integrity; for the Kurds, the creation of a politically autonomous or independent [perhaps even transnational] homeland). Considering this, it’s thus necessary to elaborate more on the interests of each of the primary state actors involved in and/or affected by this bubbling situation. In crafting the most reasonable scenarios incorporating the acquired insight, it turns out that a somewhat procedural series of events appears as the most likely course for how the conflict will develop. As fate and energy interests would have it, this initially puts both Iran and Israel on the same side of the ‘barricades’ at least in the situation’s opening phase. As their divergent end-game interests lead to similarly divergent policies (which are compounded by the length of time that the conflict drags on for), Tehran and Tel Aviv will inevitably introduce their regional rivalry into the equation, which can be expected to exacerbate the destabilization in southeastern Turkey. Ultimately, however, the US is the real kingmaker here, since it will diametrically alter the balance of situational power once it throws its weight behind either the Turkish government or the Kurdish insurgents, but by no means does this guarantee that its selected side will emerge victorious. Thus, as the situation in Turkish Kurdistan becomes exceedingly more complex by the day, it’s hoped that this article can serve as a useful guide in helping observers understand what’s happening and where it all might be headed in the coming future.